Every amazing race team needs high performance fuel readily available. 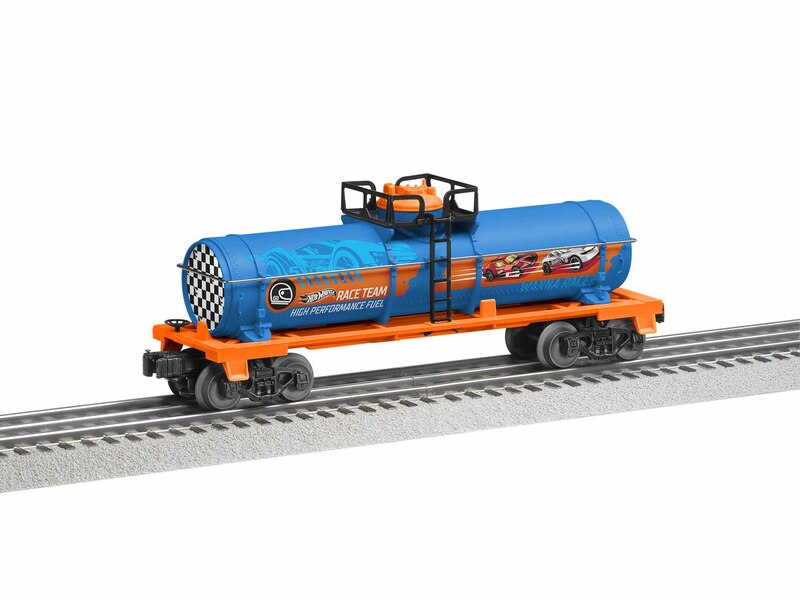 This Hot Wheels™ tank car is the perfect addition to the Hot Wheels™ LionChief® set or any Hot Wheels™ inspired layout. HOT WHEELS AND ASSOCIATED TRADEMARKS AND TRADE DRESS ARE OWNED BY, AND USED UNDER LICENSE FROM, MATTEL. ©2018 MATTEL. ALL RIGHTS RESERVED.